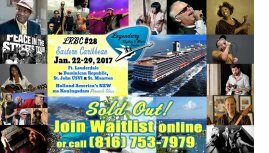 (MARSEILLES, FR) - A cabin on the European Blues Cruise is for sale at a discount (only $1000!) from your friends at the Blues Festival Guide. The Cruise sails Aug-27-2016 - Sep-01-2016 from Marseilles, France aboard the Zenith. 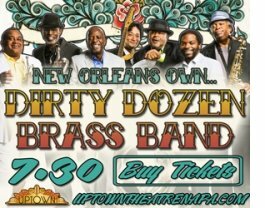 Headliners include: Billy Branch, Eddie Shaw, Mitch Woods, Stacy Brooks, more! Call or text Kaati at 775 846 8238 for more details. Click image for cruise details. Get your copy of 2016 Blues Festival Guide magazine and enjoy our various feature stories and of course, find hundreds of festivals and also blues related ads. 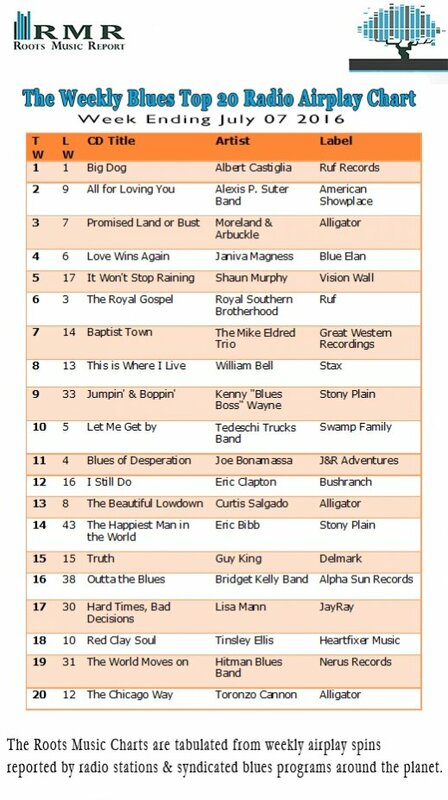 Pick up a copy at a blues festival, via your local blues society or order one to have shipped directly to you! Want to hold in your hands now! Click here to order! 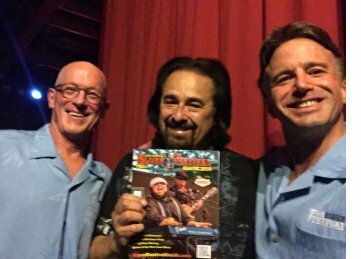 Utah Blues Society Treasurer Tripp Hopkins (lt) and President Brian Kelm (rt) with Coco Montoya at The State Room, Salt Lake City, Utah June 30, 2016. *NOTE! The 14th annual edition can be found via blues societies and festivals, etc. When you get yours, snap photos of you, your friends, artists, etc. with the 2016 Guide! *EMAIL us your photo plus caption & credit. *Want your own hard copy? Order via our website now! Our 2016 edition is sponsored by the Big Blues Bender. "The Same Thing That Can Make You Laugh (Can Make You Cry)"
John Mayall’s Bluesbreakers– Live in 1967- Volume Two, continues the archival blues path blazed in Volume One that captures previously unavailable live recordings of heralded performances of one of the best of the Bluesbreakers band lineups featuring iconic musicians John Mayall (vocals, keyboards, harmonica), Peter Green (lead guitar), John McVie (bass) and Mick Fleetwood (drums). 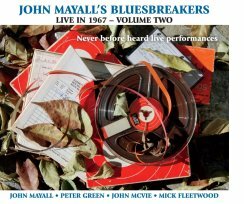 Distributed by Sony/RED, John Mayall’s Bluesbreakers – Live in 1967 – Volume Two showcases a legendary group of players who while only together a short three months, created a lasting legacy, made an immense impact on music and led to the formation of one of the most acclaimed groups of all-time when Green, McVie and Fleetwood left to form Fleetwood Mac. 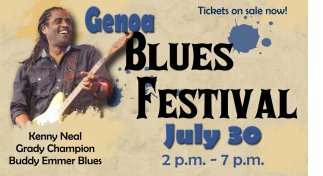 (Genoa, NV) - The Genoa Blues Festival presents Louisiana’s very own swamp blues master Kenny Neal and his Family Band with special guest Grady Champion at the Mormon Station Historic State Park, Genoa, NV July 30, 2016. Doors open at 2PM, music begins at 3PM. The opening group is our local favorite, the Buddy Emmer Blues Band. 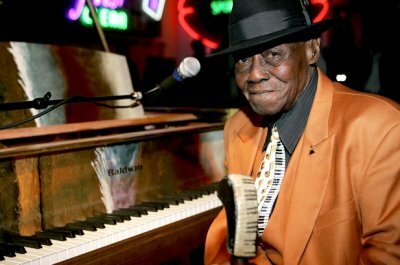 Then IBC award winner Grady Champion takes the stage with his down home Mississippi Blues before Kenny Neal takes the stage with his Bourbon Street, New Orleans celebration! Come hungry and thirsty, we will have oak wood BBQ and libations of your choice. VIP and General Admission tickets are available at Eventbrite.com. This is the best outdoor festival lineup of the summer, in the most picturesque venue, Mormon Station Historic State Park, Genoa, NV. Kelly Richey's guitar instruction is like nothing you've seen before. Take lessons in the comfort of your own home. Get unlimited access to a library of over 250 instructional videos that you can watch anytime you want, as many times as you want. 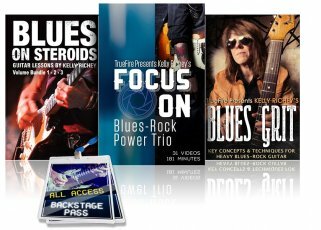 Kelly’s lesson plans are tailored to meet your needs and guide you to mastering your guitar, faster than you ever thought possible. Starting at less than $20 a month, this is an incredible value. (Los Angeles, CA) - A Committee for The Recording Academy - The Blues Task Force - submitted a proposal for two Blues categories to their Awards and Nominations department earlier this year which passed The Recording Academy’s scrutiny and was ratified by the Board of Trustees in May. Thanks to those efforts we now have Best Traditional Blues album and Best Contemporary Blues album within the American Roots category, effective immediately. The first round of submissions opens July 1st and closes July 20th for recordings released between October 1st, 2015 and July 31st, 2016. The Final round of submissions opens August 10th and closes August 24th for recordings released in August and September of 2016. • August 13, Booksigning With Joe Rosen "Blues Hands" author leads a Q&A in the DBM classroom. Open to the public. 2:30pm. (Des Moines, IA) - Central Iowa Blues Society Challenge was held on Saturday June 18th at the Downtown Marriott. Congratulations to 2016 Iowa Blues Challenge solo/duo winners Bare Bone (Bob Pace & Dwight Dario) and band winner the Jeff Banks Band. 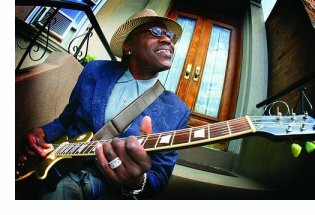 (Fresno, CA) - On June 10th, a liver transplant took place between longtime Central Valley Blues Society (CVBS) member and friend Caroline Jackson and musician Richie Blue. Richie becoming a Living Liver Donor has brought goodness and great vibes out of everyone. An upcoming fundraiser is planned by the Central Valley Blues Society for Sunday, July 17 at the FULTON 55 in Fresno. The event starts at 4pm and will run till 9pm or so. $15 / $20 donation requested but no one will be turned away. There will also have a Silent Auction and a Raffle for a guitar. 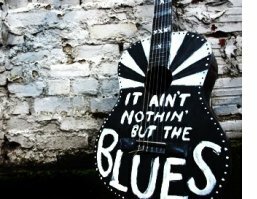 Blues Societies! Send your special event news, URL and 1 image here! 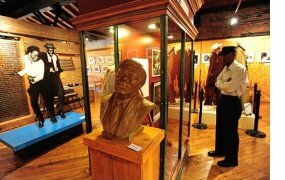 Joe Louis Walker is an official member of the Blues House of Fame. But that glory has not stopped him from making music. And sharing his new music with you… is OUR glory. Joe Louis Walker. Next time in the Bluesmobile. 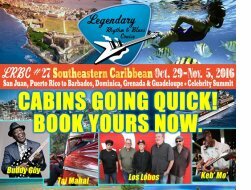 Limited Cabins Remain for the LRBC #27 Southeastern Caribbean, Oct 29-Nov 5, 2016... Act now! San Juan, Puerto Rico to the exotic islands of Barbados, Dominica, Grenada & Guadeloupe on the Celebrity Summit. 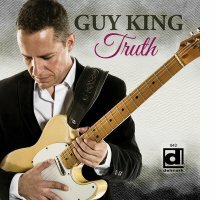 Buddy Guy (3 shows), Taj Mahal & Phantom Blues Band, Keb’ Mo’, Los Lobos, John Hammond, Tommy Castro & LRBR, Kenny Neal, Ana Popovic, Shemekia Copeland, Trampled Under Foot Reunion, Roomful Of Blues, Southern Hospitality, Tinsley Ellis, Johnny Rawls, Lil' Ed, Super Chikan, Albert Castiglia, Rudy Rotta Band, Edent Brent, Chubby Carrier, Victor Wainwright, Lee Oskar, Nick Moss & many more! Ft. Lauderdale to St. Maarten, St. John USVI & Dominican Republic on Holland Aerica’s new ms Koningsdam. Taj Mahal, Irma Thomas, The Lowrider Band, JJ Grey & Mofro, Tommy Castro & The LRBC w/ Billy Branch, Ron Thompson & Tasha Taylor, Tab Benoit, Ruthie Foster, Walter Trout, Terrance Simien, Ronnie Baker Brooks, Muddy On The Waters w/ The Nighthawks, Mud Morganfield & Bob Margolin, Curtis Salgado, California Honeydrops, Danielle Nicole Band, Jarekus Singleton & many more! More then a cruise! More Than You Can Imagine! what doesn't always fit here!